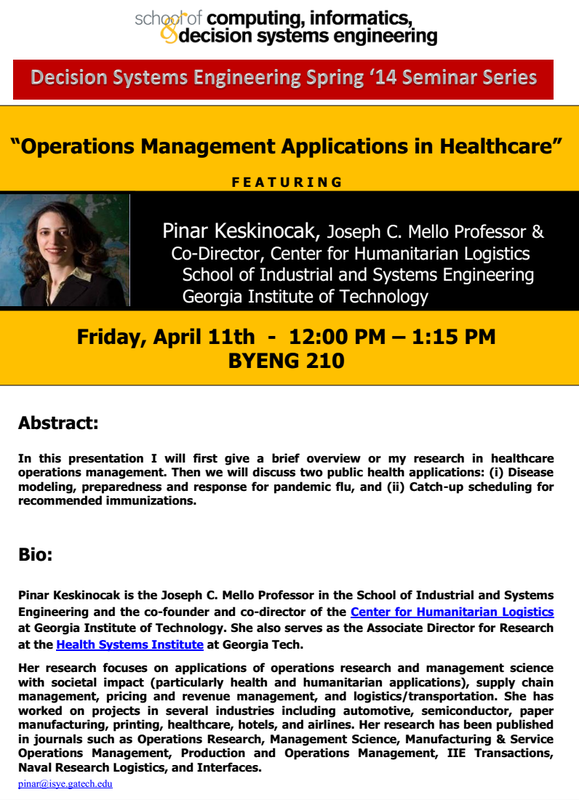 Keskinocak will give a brief overview of her research in healthcare operations management, including two public health applications: (1) disease modeling, preparedness and response for pandemic flu, and (2) catch-up scheduling for recommended immunizations. 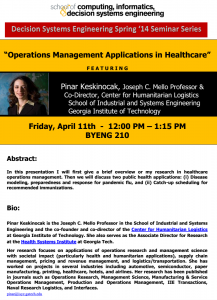 Pinar Keskinocak is the Joseph C. Mello Professor in the School of Industrial and Systems Engineering and the co-founder and co-director of the Center for Humanitarian Logistics at Georgia Institute of Technology. She also serves as the Associate Director for Research at the Health Systems Institute at Georgia Tech.